Give it a go! Give it your best shot! Guess what I am a picture of! Buddha’s hand! Cut it in small pieces for a citrus flavor in your salad. Didn’t know this was grown outside of Asia. Looks like the beard of Davy Jones! I’ve been giving this one some deep consideration and I’m at a loss. I think it’s some form of exotic flowering fruit. In the framework of art, it resembles what a pealed banana would be if it were a flower. Congratulations, you are the only one to identify it! See my post today: “Flower Stalking” for the type of cactus…and the numerous funny responses that I had received…. 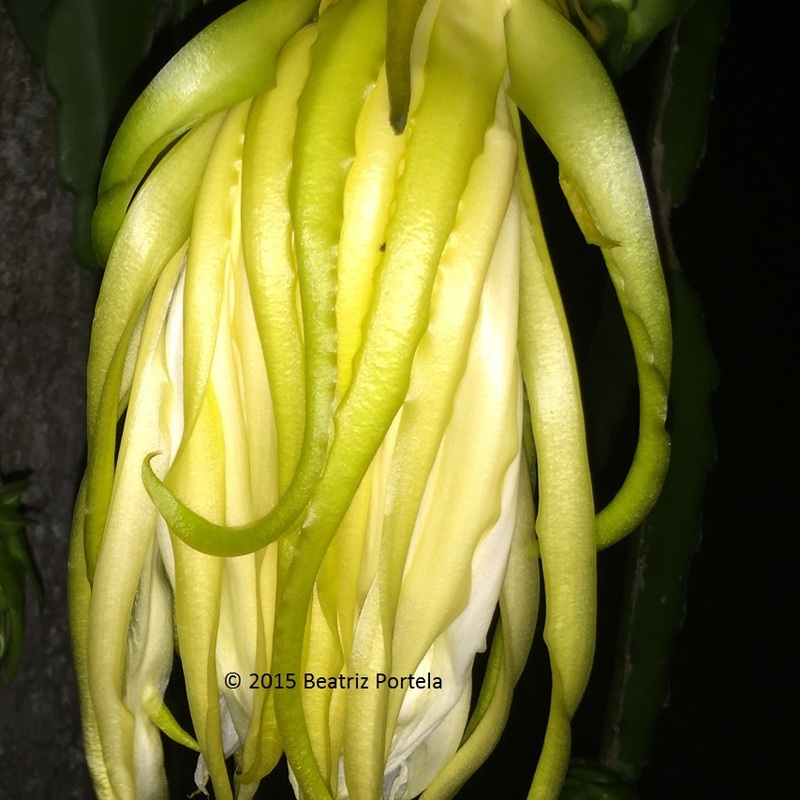 I think this one blooms only 1 night so when you want to see it you have to stay awake, but it is worth the wait !!! I have heard of those. We have one in South Africa as well. However it is a dark purple colour and it is not a cactus. I never saw one in dark purple but I’ve never been in South Africa either ! You are so lucky to live there !!! !